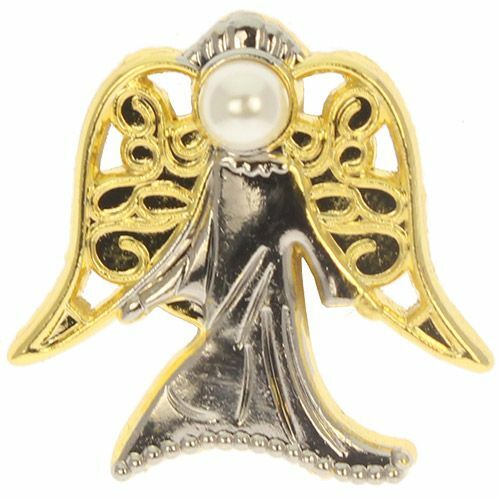 PEARL Special Angel Lapel Pin. 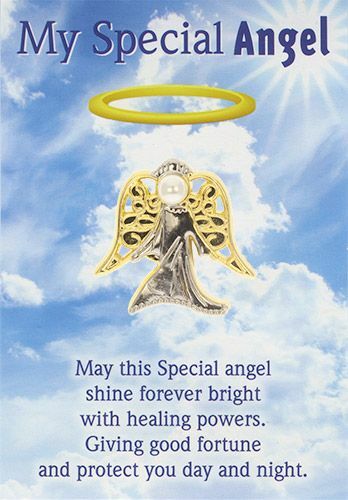 The special angel pin 3D cast from jeweler’s metal is two-toned - dual plated Gold & Silver and is 1 inch tall. Angels are always a special addition to anyone's outfit especially when it expresses protection and good fortune for the wearer. A thoughtful gift idea focusing on sentiments. May this Special angel shine forever bright with healing powers. giving good fortune and protect you day and night. Space for To: and short note on back. Guardian angel for your mother, grandmother, any important woman in your life. Put an extra smile on her face coming from you. This angel brings happiness to the people I give it. Smiles come to their faces and God surrounds them.